This will become much more interesting once I've got the Facebook posting to work. Travelling by Ryanair so the long stick bag may not be an option... will it all fit?? Had a great break away from technology for a couple of days... but I'm back now. Checking through e-mails and noticing that all those marked urgent had been resolved with no urgency at all. There are days when you need to understand things, and act; and there are days when you need to listen, and wait. Zoning out to this: totally hypnotic. Not seen this before. That great moment when Tchicai stares the cameraman down. People on Facebook: no longer will you get a raw deal on status updates! I can now post to Twitter and Facebook and my site simultaneously. 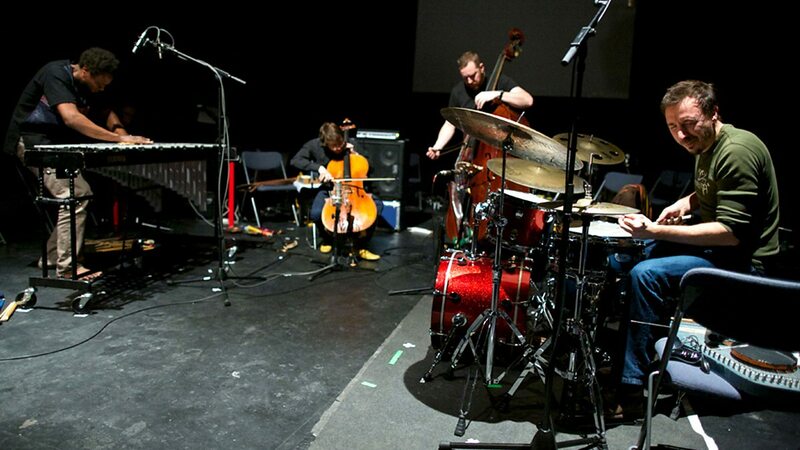 Concerts from saxophonist Paul Dunmall's Realisation trio and Anglo-French group Sonsale.